In the first days following concussion, brain rest is critical to ensuring a recovery that occurs most completely, in the shortest amount of time. That rest includes avoiding/reducing reading, computer work,video games, texting, and watching TV. As the days pass, symptoms usually improve quickly and activity can be gradually re-introduced. Light exercise begun at the right time aides in faster recovery. Communication with your doctor, teachers, coaches, and therapist is critical to success. The team of providers coordinate return to school, adjustment to homework levels, and accommodations during the school day. Return to Play and Return to Learn protocols are specific, and followed carefully. For many children and their parents, this process can be scary and overwhelming. Real Health Rehab has many years experience assisting with the coordination of this process. Ongoing symptoms can include headache, dizziness, blurred vision, neck ache, mood irritability, brain fog, and fatigue. These symptoms need to be prioritized, with treatment fitting well into an already busy schedule for students and parents. Specific tests are carefully chosen to determine the underlying cause of the symptoms. Exercises are prescribed for each individual, ensuring your therapy is performed in the most efficient and effective manner. The frequency of clinic visits in the Concussion Protocol is 4 days in a row and it is essentially and exercise only protocol, but in some cases manual therapy may be offered for headache, whiplash, or neck/back ache that is often associated with concussion. This can include gentle massage, joint traction/mobilization, and stretching. All therapies are performed in a comfortable fashion, putting you and your child at ease. Duration of therapy varies widely according to the severity and number of symptoms, and pre-existing medical conditions. What is concussion physical therapy? What is a post concussion syndrome? Post–concussion syndrome, also known as postconcussive syndrome or PCS, is a set of symptoms that may continue for weeks, months, or a year or more after a concussion – a minor form of traumatic brain injury (TBI). Can a concussion be fatal? 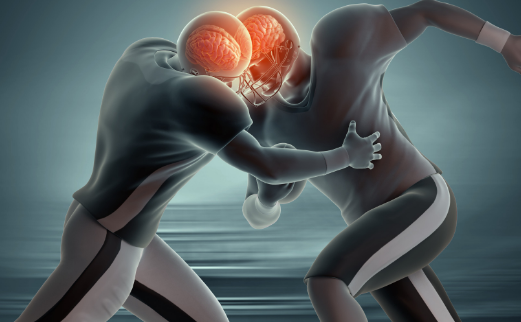 A concussion can cause diffuse axonal type injury resulting in temporary or permanent damage. A blood clot in the brain can occur occasionally and be fatal. It may take a few months to a few years for a concussion to heal. Young performers tell us about their physical therapy at Riverwalk Village Center.